The city is in talks with extending the life of the red light cameras in busy intersections, as a decrease in accidents and violations has occurred. (TNS) -- Red-light runners and rolling-stoppers beware: Cameras could be coming soon to even more Orlando intersections. The City Council on Monday is expected to approve a new five-year contract for the city's red-light camera provider, American Traffic Solutions, which would allow the program to more than double its reach. The expansion comes as some cities, in Florida and elsewhere, have scaled back their red-light-camera programs in response to the public outcry and lawsuits they often attract. But according to Mike Rhodes, manager for Orlando's Code Enforcement Division, the reason for the city's continued commitment to the controversial technology is simple: The cameras are working. According to Rhodes, from 2009 through 2013, there was a 65-percent reduction in accidents at Orlando's camera-monitored intersections. Red-light violations are down 28 percent on average, he said. Meanwhile, recidivism is also down: Of the drivers ticketed, 91 percent have not had a repeat offense. "I hope we're changing driver behavior; that's the objective here," Rhodes said. "I think people's awareness is getting a lot better." ATS currently monitors 22 approaches at 14 intersections in the city, according to Rhodes. The new contract would allow the addition of cameras to as many as 30 new approaches. There's also an out: The city can cancel without penalty, in the event that a court case or the state Legislature pulls the plug on ticketing-by-camera. 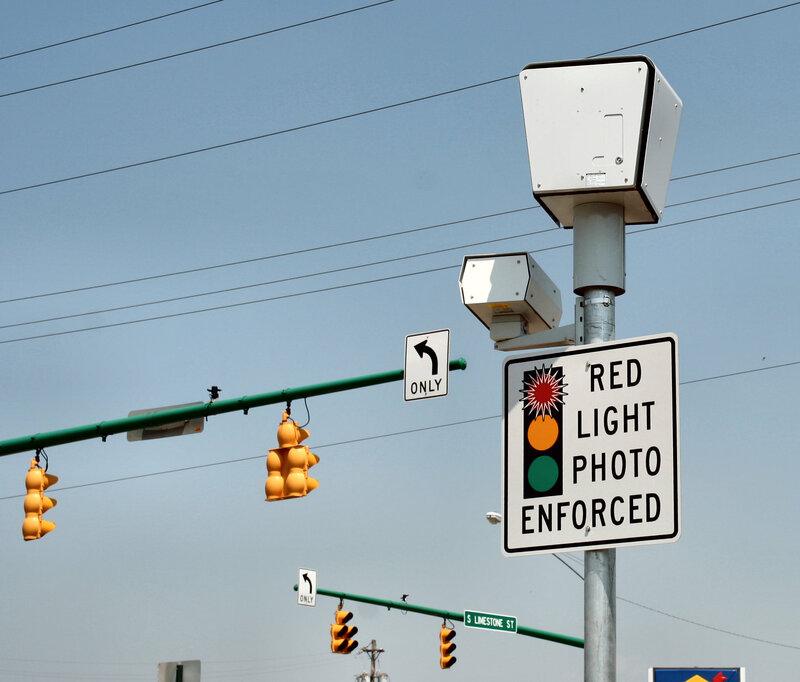 Red-light camera programs have been the subject of numerous legal challenges, and sometimes shut down by judges for allowing private firms to decide which drivers are breaking the law. "I'm not sure that we're ever going to call it 'settled law,' " said Rhodes. An October 2014 appellate court ruling unsettled it further, finding the city of Hollywood had delegated too much police authority to Arizona-based ATS — jeopardizing similar programs throughout the state. A local judge is expected to hear arguments in the spring as to whether that ruling should apply to Orlando's program or Orange County's, according to Robert Azcano, an attorney for The Ticket Clinic. Regardless of the outcome, Azcano says he expects camera-based ticketing isn't going away any time soon. "They're bringing in way too much money for it to ever stop," he said. Critics say the cameras are a cash-grab by local governments, while defenders say they are cost-effective — Orlando's program funds itself through tickets — and enhance public safety. Currently, state representatives from Miami and St. Petersburg are pursuing legislation that would repeal the 2010 law allowing Florida counties and cities to set up red-light cameras. Orlando set up its program in 2008 and was later ordered by the Florida Supreme Court to refund money to drivers who were ticketed before the city received specific authorization from the state. Though further study by the city and Florida Department of Transportation is needed, Rhodes said Code Enforcement has identified several intersections as candidates for new cameras. Among those are Mercy and Colonial drives; John Young Parkway and Colonial; Curry Ford and Conway roads; Conway and Michigan Street; Colonial and Primrose Avenue; and Livingston Street and Mills Avenue. Red-light runners aren't the only ones the new cameras will be looking for. The city will also soon roll out pilot programs targeting drivers who violate pedestrian zones or railroad-crossing rules. "It's only a matter of time before there's cameras everywhere," Azcano said. However, Rhodes said motorists caught by those programs won't get tickets or fines, just "friendly warning letters." "We're not looking at it as a way to punish people," he said. ©2015 The Orlando Sentinel (Orlando, Fla.) Distributed by Tribune Content Agency, LLC.